This is a screenshot of the Fessy Birds website home page. Mr. Banister’s Science classes began their bird unit by learning what every solid ornithologist should; how to identify birds via their unique characteristics. 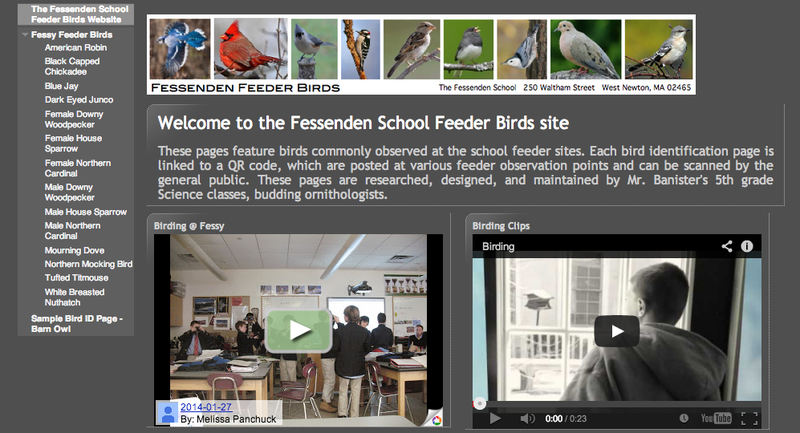 The flipped classroom format meant that specifics memorization took place at home, leaving students valuable time in class to collaborate in the creation of the Fessenden School Feeder Birds site. 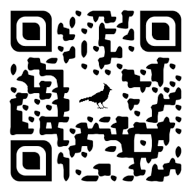 One of the QR codes found at bird observation sites around campus. Yes, that is a female northern cardinal silhouette embedded in its QR code. Scan it and see more! Each small group of boys researched a bird typically found at campus feeders, and designed a web page within a class Google Site that could be used to help other ornithologists identify it. Boys also defended their format and content choices in a presentation. Several boys have opted to develop additional pages for other campus birds, such as the red-tailed hawk, on their own time, to help make the site more robust. Each student-developed page is linked to a QR code. These QR codes can now be found at various feeder observation points around campus. Certain feeders attract specific birds, so the boys’ bird counts have determined where each QR code is placed. Visitors can learn more about each of these birds by scanning its QR code. These pages will be updated over time to reflect current bird counts and related class projects. 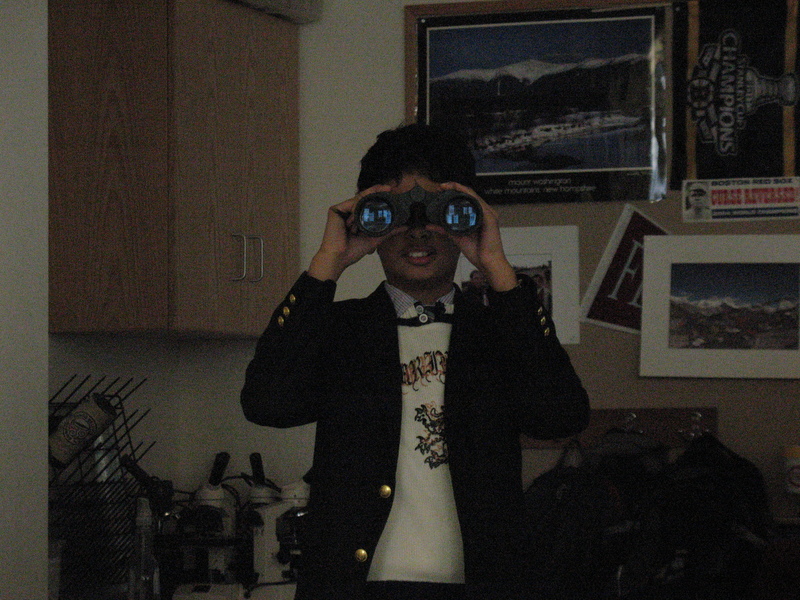 Rohil is ready to take some bird counts! Stay tuned as boys begin the next phase of the bird unit, the study of adaptations. There is more fantastic project-based learning in the works in 5th grade Science! This entry was posted in Flipping the Classroom, Humanities, Teaching. Bookmark the permalink.